Founded in 2009 in Westminster, Maryland, by a person in long-term recovery Tim Weber, Weber Sober Homes provides two transitional sober living homes for men in early recovery. Weber, who has been clean and sober, since 2003, is also the author of Gutters and Roses, an autobiography of his own battle with addiction. 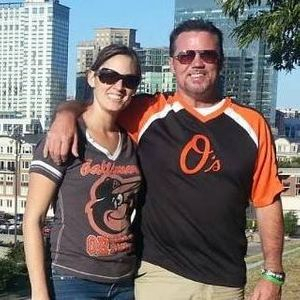 In 2015, Weber turned over control of the sober living enterprise to his wife Kathy because he took a job with the Carroll County State’s Attorney’s Office as the Drug Treatment and Education Liaison. Using his new position, Weber continued to be an advocate for strong addiction prevention and recovery programs. In September of 2018 Weber left the State's Attorney's Office to take over the sober homes again and help open a treatment center in Pennsylvania called Kennedy Addiction Recovery Center. The average length of stay for the guys of Weber House is between three and six months. The organization is deeply rooted in the 12 steps, and while the rules are simple, they are taken seriously. There is a zero tolerance policy when it comes to relapse, theft, lying and covering up another resident’s use of drugs or alcohol. These behaviors warrant immediate eviction from the house with a contract put in place to return. Clients must attend 90 meetings in 90 days, and provide proof of meeting attendance. After completing 90 in 90, they have to go to at least five weekly meetings. Those who don’t comply are kicked out of the house. The curfew is 10 pm Sundays through Thursdays, and midnight on Fridays and Saturdays. When the clock hits the appropriate curfew hour, the doors are locked. Residents who try to sneak in a latecomer are immediately discharged. Those who work past curfew have to inform the house manager in advance, so that they can be admitted into the residence. Performance of household chores, as well as being at the house meeting is mandated. Unemployed clients must be out of the house between nine am and three pm, Mondays through Fridays, and employment must be obtained within two weeks of arrival. Those who don’t find a job within that time frame have to leave the house. In addition to random drug testing, Weber Sober Homes employs a drug dog named Zuka, a Belgian Malinois, who is brought in to sniff residents’ rooms, ensuring the safety of the household. On paper, Weber Sober Homes might come off as sober living boot camp, but Weber takes recovery and his clients’ welfare to heart. He often stops by the homes to hang out with residents, and make sure that they are doing okay. This is a great program for men who really want to work the steps, and share a strong camaraderie. For men looking to jump into a life of steps, new friends and sober structure, this is an awesome choice.